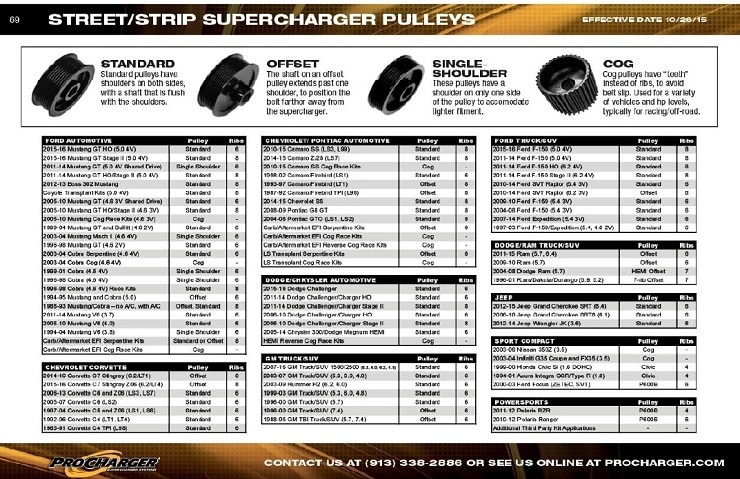 Authentic ATI ProCharger Pulley's in all available sizes! Includes retaining bolt, washer and key. 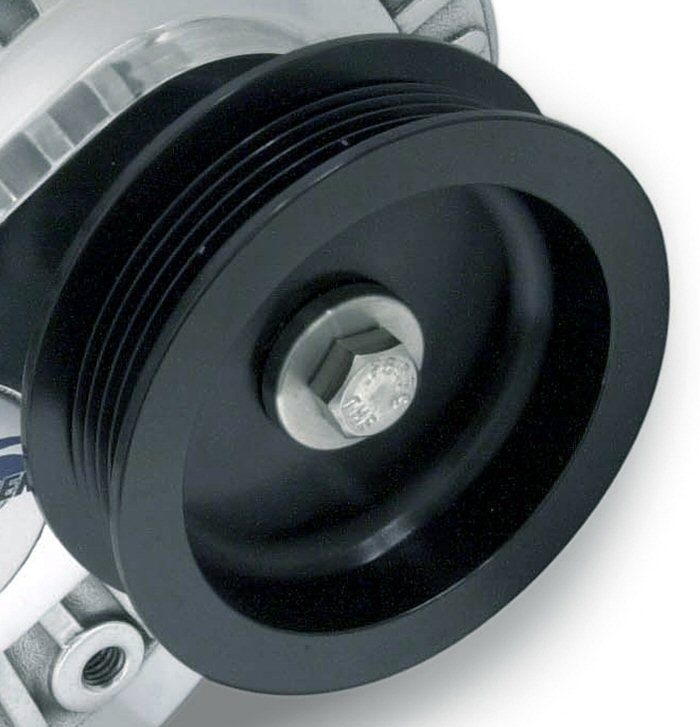 Any BBC, SBC, or SBF (non-A/C) that uses a spring tensioner will be an offset pulley. The slide/fixed tensioner for any of the same application uses a non-offset. WARNING: Never strike the ProCharger pulley with a hammer or other tool under any circumstance! Evidence of such force will void the warranty, as serious damage to the precision bearings within the ProCharger could occur.